A Unesco World Heritage site, the Belize Barrier Reef has several ‘must-see’ protected areas: Glover’s Reef Marine Reserve, Southwater Caye Marine Reserve, Half Moon Caye National Monument & the Blue Hole Natural Monument. The remote atolls of Lighthouse & Glover’s Reef have some of the best snorkeling, paddling & marine exploration in the Caribbean Sea. The Southern Barrier Reef & Coast offers a charming mix of small island lodges, Garifuna fishing camps & uninhabited Cayes. Little known by travelers, this wild natural playground offers spectacular hikes, waterfalls and the country’s longest jungle zipline. Mayflower Bocawina National Park, the Cockscomb Jaguar Reserve, and Bladen Reserve are ecological wonders that combine to form some of the largest remaining tracts of pristine rainforest in Central America. 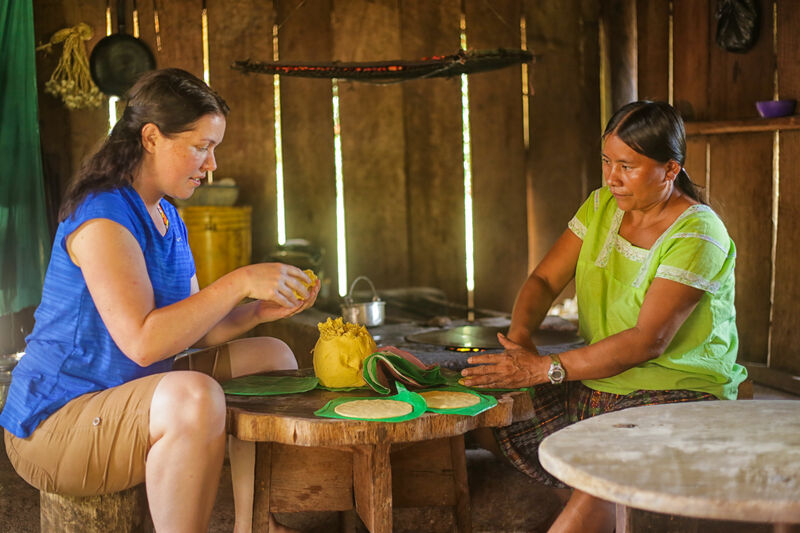 This region of isolated Mayan communities lying amongst an unspoiled tropical wilderness is a great place to see and experience traditional Mayan village life. Lush rainforests, wildlife and the country’s best white water rivers are special attractions in the far south of Belize. Belize is an adventurer’s playground, offering tropical turquoise waters, amazing coral reefs, rich rainforests, abundant wildlife, and a fascinating diversity of cultures. Over 36% of the country has been designated as marine reserves, parks and wildlife sanctuaries. Belize is English speaking, with a population of just 350,000. The primary languages are English, Creole, and Spanish. Unlike many other countries in Central America, this tiny democratic nation offers safe food, clean drinking water and a relatively modernized infrastructure. 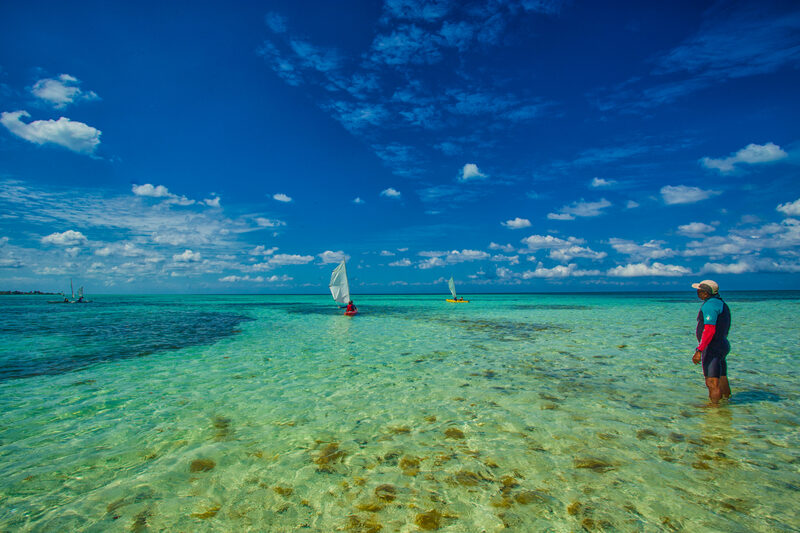 Water Sports Destination – Belize has the longest barrier reef in the Western Hemisphere, hundreds of tiny cayes (islands), and miles of unexplored beaches. It offers world-class snorkeling, Stand Up Paddleboarding, kayaking, fishing and diving. Tropical Rainforests – In a matter of hours you can travel from the coral reefs to the largest remaining tracts of undisturbed rainforest in all of Central America. Wildlife abounds; the rainforests are home to jaguar, Baird’s tapir, tayra, agouti, and howler monkey. The bird life is world-famous -it is still possible to see the legendary harpy eagle in the wild, and colorful tropical birds like toucans, trogons, and orependolas are seen daily. Cultural Diversity and Home of the Maya – Belize was once the heart of the Mayan civilization. With a cultural vista that stretches back over forty centuries to the beginning of the Maya, we can trace this ancient civilization through Belize’s more than 600 archaeological sites. Since the decline of the Mayan empire and the later arrival of Europeans, Belize has continued to evolve. Spanish explorers, Garifuna settlement, Scottish buccaneers, and a hundred years as a colony of Great Britain all contribute to the cultural mosaic we find today. With 30 years’ experience kayaking and snorkeling in Belize, Island Expeditions know the reef system like few others. Choose from our all-inclusive Adventure Basecamps on remote coral atolls, our sea kayak and SUP journeys, inland adventures, and so much more. Our guides have a reputation as the very best in the country and from the moment you arrive in sunny Belize we’ll take care of all the details. Island Expeditions is part of the Belize Adventure Group, which includes Bocawina Rainforest Resort & Adventures, Tobacco Caye Paradise Lodge and Island Adventures. 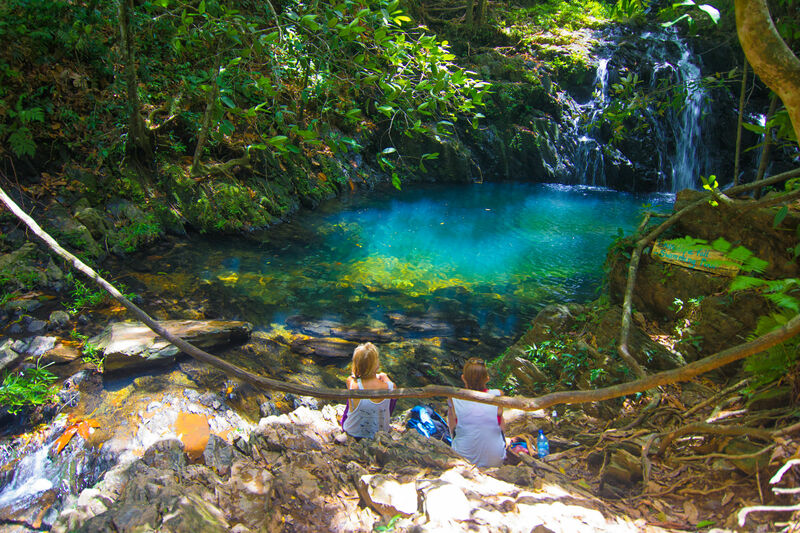 The Belize Adventure Group is a collection of the most unique destinations, places to stay, and things to do in Belize, Central America. We have been operating the country’s widest selection of adventure, educational and cultural travel since 1987. We operate in stunning locations, from jungle lodges in national parks to Adventure Basecamps on Lighthouse and Glover’s Reef Atolls. On the reef, we go snorkeling, scuba diving, kayaking and Stand Up Paddleboarding. Inland we offer ziplining, rappelling, caving, Mayan ruin exploration, white water rafting and mountain biking. The Belize Adventure Group is committed to responsible tourism and actively supports the Belize Zoo, the Belize Audubon Society, Help Age, and other local initiatives. Island Expeditions offers over 200 scheduled departures into Belize each year. We run all-inclusive small group adventures, including one-of-a-kind Adventure Basecamp vacations on Lighthouse and Glover’s Reef. We also offer custom group itineraries, self-guided kayak trips and rentals, and specialized programs for high schools, universities and colleges. Travel Belize – By car, bus, or air, this is your contact list to the Belize local transport network. Belize – A useful and comprehensive website on the country of Belize. TripAdvisor – The web’s best source for unbiased hotel reviews and travel information. Canada Sales and Administration Office: Street Address: PO Box 9, Pemberton, BC V0N 2L0; 4-1384 Portage Road, Pemberton, BC V0N 2L1 Belize Seasonal Operations Office: PO Box 106 Dangriga, Stann Creek District, Belize, CA; 1737 Magoon St.